November 18 was the 40th anniversary of the Peoples Temple Jonestown tragedy. It brings up personal memories for me. Here's why . . .
I’ll never forget the desperate phone call I received at my desk. Her voice was begging, saying only that her group would be leaving San Francisco immediately. And then the call disconnected. I felt so helpless. What ended the call? Did she have a change of heart about reaching out? Did someone grab the phone or force her to hang up? “Leaving immediately?” I had no idea what she was talking about. I knew she was a member of Peoples Temple. As a San Francisco Social Worker I had met her once briefly many months before. She must have saved my contact information. When she called I almost didn’t recognize her name. Ever since that call I’ve never forgotten it. It’s been over 40 years and I can still hear the sound of the panic in her voice. And I couldn't help her. Like many social workers I grew up being the 'helper' in my family and when the phone disconnected I felt totally helpless. Even though I had met her only that one time I can still picture her. The face and voice have haunted me all these years, although I have to admit as time passed I began to question whether I was actually remembering her name correctly. As San Francisco social workers we had frequent contact with Peoples Temple. We respected their inclusion and diversity, how they provided health care and community services to the elderly and even established foster care to at-risk youth. They were a reliable resource for food or blankets or clothing when our clients were in need. So it wasn’t long before we were hearing rumors that hundreds of devotees suddenly left San Francisco for the People's Temple Agricultural Project in the South American jungles of Guyana. That must have been her destination the day she called me in such a panic. The jungle area was renamed ‘Jonestown’ and compounds were build to house the almost 1000 Temple members and their friends, families and extended families. Most likely many went excitedly and willingly with the promise of this utopian society, but clearly the woman who called me that day from a pay phone did not want to go. Just over a year later more than 900 devotees living in the Jonestown compound were convinced by their leader, Reverend Jim Jones, to drink a fruit drink laced with cyanide in a mass murder/suicide. That was 40 years ago, November 18, 1978. As you can probably guess, the story of Jonestown and its people has fascinated me ever since that phone call and I just learned of an online resource I hadn’t known about. Formally titled Alternative Considerations of Jonestown and Peoples Temple and known as the Jonestown Institute this site lists names, photos, personal information, journals, transcripts of recordings and testimonials and memorials for those who died there. Each person has their own page! So I took a deep breath and looked up the name I think I’m remembering, half expecting to not find it in the list. And there it was –– a photo of the face I’ve had etched in my mind these many years. The note on her page says she was 28 years old when she died in the mass murder on November 18. She had arrived in Guyana in early August 1977. That must have been right after the day she so desperately reached out to me. 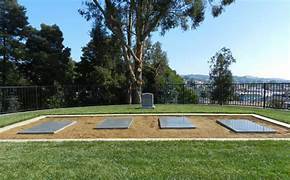 Soon I’ll be driving the few miles to Oakland to visit Evergreen Cemetery where there is a mass grave for over 400 unidentified and unclaimed Jonestown dead – mostly children. Although she is most likely not buried in the mass grave, her name is among the 918 engraved on one of the four granite plaques covering the burial site. It is comforting knowing there is a granite plaque with her name engraved –– and that I was remembering her name correctly all these years when I thought of her. In this sacred space maybe my feelings of helplessness will soften a bit. The Jonestown Institute website was compiled over the last 20 years by Fielding McGehee and Rebecca Moore whose two sisters died in Jonestown. I’m grateful to them for showing how to use this amazing resource and for validating my feeling of connection to the people of Peoples Temple. Until next month . . .
Elayne Savage is the author of ground-breaking relationship books published in 9 languages. Both books are now available on Kindle! You can use the articles in 'Tips from The Queen of Rejection'® as long as you include an attribution and, whenever possible, a live link to my website. I'd appreciate if you'd notify me where and when the material will appear. The attribution should include this information: Elayne Savage, PhD is a communication coach, keynote speaker and trainer, practicing psychotherapist and author of Don't Take It Personally! The Art of Dealing with Rejection and Breathing Room - Creating Space to Be a Couple. To find out more about my speaking programs, coaching and consultation services visit: //www.QueenofRejection.com or call 510-540-6230 if you or your group can benefit. I welcome your feedback as well as suggestions for topics you'd like to see addressed in this e-letter.